Homeo Healing has distinct specialization related to the problems of women and children. Our scientific approach has helped large number of patients across the region to recover from their sufferings without any side effects. Homeopathy is more effective for chronic and recurring diseases such as allergies, arthritis, auto-immune diseases, skin diseases, chronic infections, muscular diseases, metabolic diseases, psycho-somatic diseases, etc. 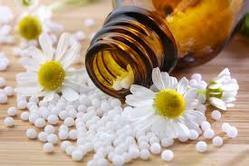 To name some of the hundreds of diseases where homeopathy could prove effective: Allergies, rheumatoid arthritis, psoriasis, vitiligo, lichen planus, urticaria, migraine, sinusitis, frequent colds, autism, ankylosing spondylitis, IBS, ulcerative colitis, hepatitis c, ADHD, underactive thyroid, psoriatic arthritis, Chalazion, anxiety disorders, depression, GERD, hair loss, trigeminal neuralgia, and many more. After that, you will receive the call from Homeo-Healing Office about the payment details. Once the payment is received, your questionnaire will be thoroughly processed by doctor herself and a good prescription will be prepared and sent to the concerned email address. The prescription will include all details of buying and taking the medicines.